Jokes aside: Amazon is getting serious about routers. Amazon announced earlier today that it has agreed to buy Eero, the San Francisco-based maker of mesh-networked Wi-Fi routers. Eero first launched in 2015 and quickly became a gadgeteer’s darling for its robust stability and its ease of use—something Amazon hardware executive Dave Limp called out in an official press release today. Neither company has disclosed the terms of the deal; Eero, to date, has raised around $90 million in venture capital funding. 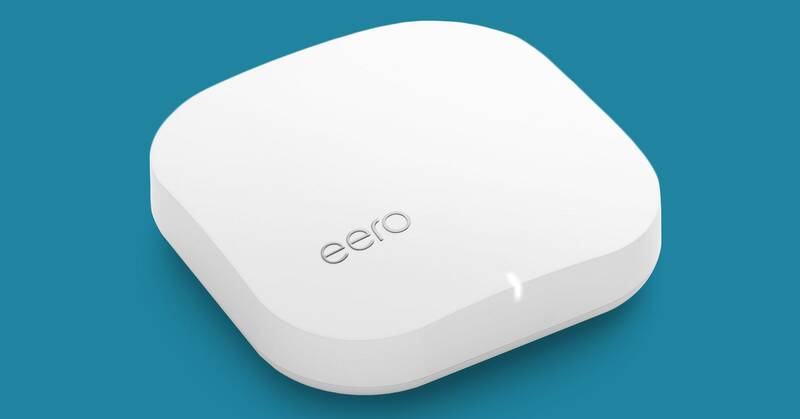 But for Amazon, the Eero buy clearly signals how serious the company is about rounding out its smart home hardware offerings—and squeezing as many Amazon-owned access points as it can into a person’s home. In just five years, Amazon has both launched its own array of smart home devices, starting with the first Echo speaker in 2014. The company’s roster of smart home devices now includes multiple speakers, TV streaming boxes and sticks, connected television sets, countertop displays, a wall clock, and a DVR, not to mention oddball gadgets like a scanning wand that aids your grocery shopping and a camera that judges your outfits. As Eero’s Weaver said in a Recode podcast in 2017, “Every Eero that’s connected ends up spitting out data to help us understand how our iPhone’s performing, how our Sonos speaker’s performing, how is Alexa performing, and we use that aggregated data to keep improving our software.” Weaver also pointed to cord-cutting as a big driver of Eero sales; the more media people want to access over the internet, the more likely they are to invest in decent networking equipment. Amazon, of course, offers plenty of streaming media that the company hopes would stream without hiccups. Google, for what it’s worth, also claims not to track which websites users of its mesh Wi-Fi router: “Importantly, the Google Wi-Fi app and your Wi-Fi points do not track the websites you visit or collect the content of any traffic on your network,” the company’s policy reads. But even having slightly more information about the devices in its customers’ homes, and how those devices are performing, could be advantageous for Amazon. Amazon already knows when you’re shopping on Amazon or streaming from a Fire TV stick. Now, with routers added to its lineup of gadgets, it might glean an even fuller picture of customers’ activity—even when you’re not shouting at Alexa.